Can Someone Steal Ownership of your Site in Webmaster Tools? 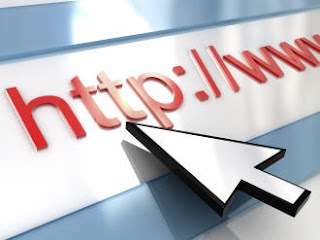 For webmasters, verifying ownership of their website is very important, since it establishes an official connection between you and your website. It is one of the factors among many others that decides a site's trust. Every webmaster has to get his site verified in Google Webmaster Tools to help Google recognize ownership for that site, and provide some advanced tools to the webmaster. But there's one thing that might concern a few people regarding ownership. There are many blogs and websites where people who aren't the owners have access to the site's source code, at least the <body> part of a website. So what if someone adds a meta tag with the body tag and steals ownership of your website? People who have rights to post on your blog, and even people who comment have some level of access to the body section of your website, since the content they create goes into the body tag. Usually, website verification require you to add a meta tag to your site. This meta tag is provided by the service you're verifying from, and you, being a website owner, can add this meta tag to your site's source code (usually the head section) and get your website verified. So what if people who don't own your site add a meta tag for website verification in the <body> section of your website? As Google's Matt Cutts clarifies, Google only checks for meta tags embedded into the <head> tag of your website. And the head does NOT mean the header. The head contains all the definitions, stylings, rules, and so on. And it is where meta tags should be added. Meta tags with the body don't make much sense. So as long as others are only editing your website's body section, you needn't worry about any attacks or verification attempts, should any be made. But if you're giving others access to your site's head section, then you should think again by granting such permissions.